RIPLEY TWP, Ohio — Curled and mangled steel and a few support beams are all that remain of a bank barn at the home of Loren and Barb Lang in western Holmes County, Ohio, following a barn fire Nov. 17. “That was the centerpiece of our farm,” said Loren Lang, who sat down for the first time, late afternoon, the day after the fire, and looked out his dining room window. It was hard for him to look out and see the remains of a barn that he had worked so hard to build — and just like that it was gone. 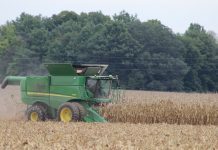 An employee had been operating a skid loader in the bank barn when he backed up too close to a dry round bale of hay and the hot muffler came in contact with the bale. The bales were so dry, that they just immediately ignited, explained Barb Lang. 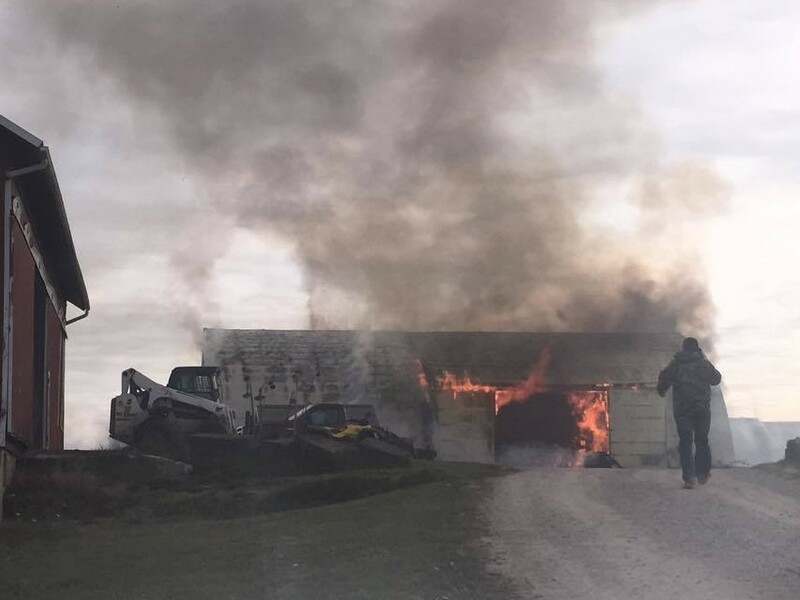 Firefighters were called to the home Nov. 17 after receiving calls of a barn fire on the property. Seven different fire departments responded to the call and were on the scene shortly before 9:30 that morning. 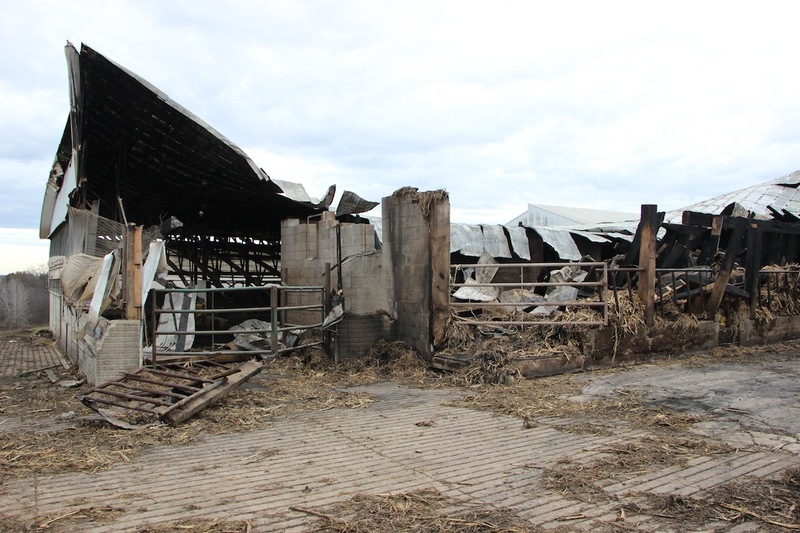 The Langs were just wrapping up their morning milking when the fire ripped through the barn. “We were having a good day. Everything was running smoothly and we were well ahead of schedule,” said Barb. Barb left for work around 8 a.m., as she did every morning. Loren and his employee Jim Wellman were fixing a water spigot in the milkhouse when Wellman turned to look out the window and saw a burning hay bale. As everyone rushed outside, their thoughts quickly went to the cows housed just below. Gates were thrown open and cows, steers and heifers were rushed out to pasture and corralled in a field a safe distance away from the fire. “That barn went up like a piece of toilet paper,” said Jim. Fourteen steers, some treated milk cows and around 80 dry cows and bred heifers were housed in the barn. The milk cows had already been released to the pasture, but half a dozen heifers had lingered in the adjoining freestall barn. 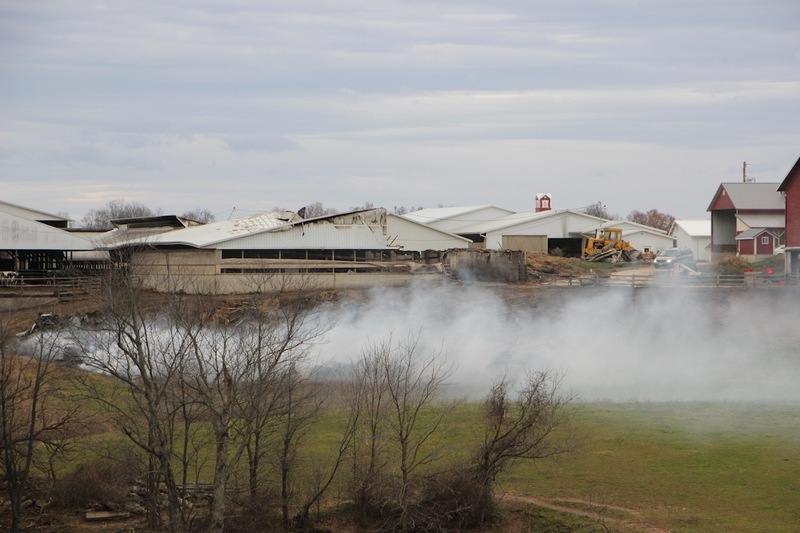 “We have over 500 head of milk cows, calves, heifers and steers and every one was unharmed because of the quick actions of two of our employees,” said Barb. 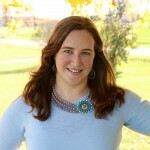 “I stood there for nine hours trying to keep the cows out of the barn,” said Logan. Many neighbors jumped in to help where they could, she added. According to Nashville Fire Chief Shawn Young, the fire was contained by 10:53 a.m. Over 200,000 gallons of water was pumped from a dry hydrant at Whispering Hills Jellystone campground. The fire was reported out by 5:26 p.m. and the last fire truck pulled away from the farm by 6:48 p.m. 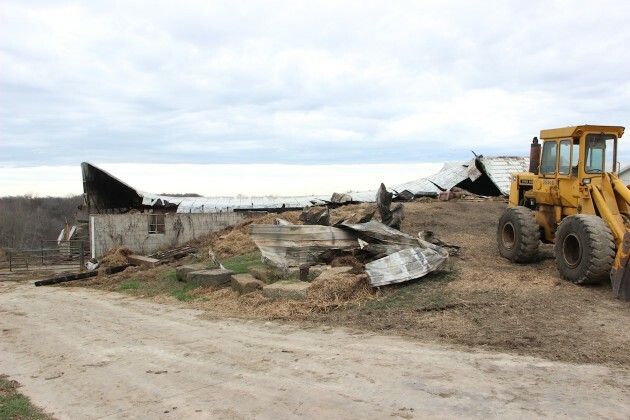 There were no injuries to people or livestock, but the 48-by-100-foot bank barn was declared a total loss as well damage to the 48-by-100 foot freestall barn just behind it and the small milkhouse. Over 400 bales of hay that had just been moved to the barn to feed to the livestock over the winter months was lost. Pulled from the barn and strewn down the barn bank a safe distance from the remaining structures, the piles continue to smolder even a day later. There was no damage to the surrounding buildings, all within a few feet of the burned structure, and Langs were able to get their parlor up and running that evening. “When the fire department arrived, all they could do was keep it from spreading,” said Barb. And to her amazement, they did. 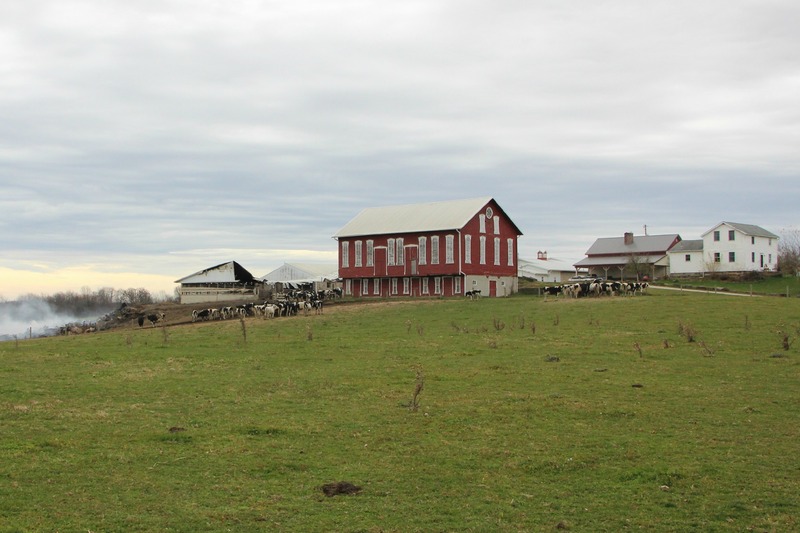 They own a property adjacent to the current farm with a freestall barn where cows could be sheltered for the time being. But plans are already in the works for a new barn. While Barb said they have no immediate plans for how the barn will be rebuilt, they have been overwhelmed with the support from friends and neighbors that have offered to help. 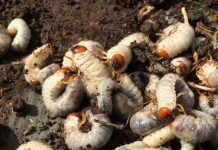 “I am just so grateful they saved every one of them,” said Barb. Both Loren and Barb expressed their gratitude in a situation that could have been a lot worse than it was. “The good Lord wanted you to keep milking,” Mary Lang told her son, as they sat in the dining room, exhausted from the day’s activities.